The provisions of the Wyoming statutes that permit the filing of mechanics liens and materialman's liens on construction projects can be found in Wyoming's Lien Law for Contractors or Materialmen, W.S.1977 § 29-2-101 et. seq. 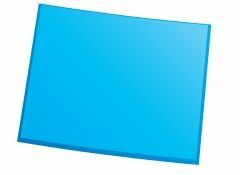 The full text of the Wyoming Construction Lien Law is provided below, and has been updated as of 2011. To see a quick synopsis of the most important provisions, take a look at our Wyoming Frequently Asked Questions page. (a) Every contractor, subcontractor or materialman performing any work on or furnishing any materials for any building or any improvement upon real property shall have for his work done or plans or materials furnished a lien upon the building or improvements, and upon the real property of the owner on which they are situated to the extent of one (1) acre. If the improvements cover more than one (1) acre the lien shall extend to all the additional real property covered thereby. (b) To have a lien the work or materials shall be furnished under a contract. (c) Notwithstanding subsection (a) of this section if the real property subject to a lien is located in any city, town or subdivision the lien shall extend to the entire lot upon which the building or improvement is located. (ii) Has been unpaid for more than ninety (90) days. (e) The lien under this section shall extend to the owner’s real property and easements to the extent necessary to provide legal access by a roadway for ingress and egress to the building, improvements or real property subject to the lien, not to exceed forty (40) feet in width to the nearest easement, public road or highway. Any lien properly perfected shall extend to the entire interest of the owner. Any lien claimant enforcing the lien may have the building, improvements and real property sold under execution. However, if any party establishes that the real property, after removal of the improvement, would be in the same or similar condition as prior to the performance of the work for which the lien is claimed, the court may authorize the removal of the improvement. In addition to attorneys’ fees and costs, the lien claimant foreclosing the lien may be entitled to reasonable costs for removing any improvement or for restoring the property to its original condition. Click Here to File a Wyoming Document. (a) Every building or improvement or any material furnished for use upon any leased property shall subject the leasehold interest to the lien provided by this chapter. (ii) Seek an order from the court for removal of any improvement. Upon establishing that the property will be in the same or similar condition as prior to the performance of the work for which the lien is claimed, the court may authorize the removal. The party foreclosing the lien may be entitled to reasonable costs for removing any improvements or for restoring the property to its previous condition. (ii) With respect to a subcontractor, after the last day he performed work at the direction of the contractor or other person authorized to provide direction. (b) No contract made between the record owner and the contractor shall be construed to affect or restrict the right of any subcontractor or materialman to file a lien. (c) The record owner may record a notice of substantial completion of the project in the records of the county clerk in the county where the project is located. If a notice of substantial completion of the project is recorded under this subsection, the date the notice is recorded shall be presumed to be the date of substantial completion of the project. After the notice has been duly recorded, the record owner shall send a copy of the notice within five (5) days to all contractors, subcontractors and materialmen who provided the record owner with preliminary notice pursuant to W.S. 29-2-112. The notice shall not extend the date by which a lien statement shall be filed as may otherwise be provided in this section. The time to file a lien statement by any contractor, subcontractor or materialman shall not be affected if the record owner fails to send the notice of substantial completion of the project. (e) Any party to a contract for which a lien may be filed may agree to an extension of the time within which the lien may be filed. The time agreed upon may not exceed twice the time within which the lien would have to be filed in accordance with subsection (a) of this section. The agreement shall be acknowledged before a notarial officer, and signed by the owner, the contractor and any other parties to the contract before it is valid. The agreement shall be filed with and recorded by the county clerk in the manner provided by W.S. 29-1-312 for a lien statement. The lien rights of persons not signing the agreement are not affected by it. (f) A cooperative utility claiming a lien under W.S. 29-2-101(d) shall file its lien statement within one hundred eighty (180) days after the first date the provisions of W.S. 29-2-101(d)(i) and (ii) were met. The cooperative utility and its member may agree to an extension of the time in which the lien may be filed, but the agreement may not exceed a total time for filing the lien statement beyond three hundred sixty (360) days. Any agreement for an extension under this subsection shall otherwise comply with the requirements of subsection (e) of this section. (a) Before filing a lien pursuant to this chapter a lien claimant shall send written notice to the record owner or his agent of any claim against real property, a building or an improvement stating the amount of any claim and from whom it is due. The notice shall be sent no later than twenty (20) days prior to filing a lien statement. (b) The notice under this section shall be in substantially the same format and contain the same information as the notice form specified in W.S. 29-10-102. The notice forms shall be made available and may be obtained at the county clerk’s office of each county. The contractor shall, at his own expense, defend any action brought by his employee, subcontractors hired by the contractor, their employees or by any suppliers of materials provided under contract in accordance with this chapter. During the pendency of the action the owner or his agent may withhold from the contractor the amount of money for which a lien is filed. If judgment is rendered against the owner or his property on the lien foreclosure, he may deduct from any amount due to the contractor the amount of the judgment and costs. If the owner has paid the contractor in full he may recover from the contractor any amount paid by the owner for which the contractor was originally liable. All actions to foreclose or enforce a lien under this chapter shall be commenced within one hundred eighty (180) days after the filing of the lien statement. No lien shall continue to exist except by virtue of the provisions of this chapter for more than one hundred eighty (180) days after the lien is filed unless an action to foreclose the lien is instituted. (B) By the subcontractor or materialman within thirty (30) days after first providing services or materials to the construction project. (iv) The notice required under this section shall be in substantially the same format and contain the same information as the notice contained in W.S. 29-10-101. The form shall be made available and may be obtained at the county clerk’s office of each county. The contractor shall provide to subcontractors and materialmen at the time of contracting with them the name and address of the record owner and his agent, if applicable, and legal description of the site of the project on which work will be performed or materials furnished. Note to Lien Claimant: This form, if filled out correctly and sent within the time periods specified in W.S. 29-2-112, constitutes prima facie evidence that you have provided the content of the notice required by W.S. 29-2-112(a)(i). If you have any questions regarding how to fill out this form or whether it has been filled out properly, you should consult an attorney. The undersigned party is providing work or materials to the property described below. Failure of payment due and owing to a contractor, subcontractor or materialman for work performed or materials provided to the project located on the property can result in the filing of a lien against the property. To avoid this result, when paying for labor and materials you may ask the contractor, subcontractor or materialman for “lien waivers” from all persons supplying materials or services. Failure to secure lien waivers may result in your paying for labor and materials twice. A form of lien waiver is attached to this notice. Note to lien claimant: Signing this form has legal implications. If you have any questions regarding how to complete this form or whether it has been properly completed, you should consult an attorney. In consideration of the PAYMENT received to date, the undersigned does hereby waive, release, and relinquish any and all claim and/or right of lien against the project and the real property improvements thereto for labor and/or materials furnished for use in construction of the project; provided however, the undersigned reserves all claims and/or rights of lien as to monies withheld as retainage in the amount of $_______________, and any labor and/or materials hereafter furnished for which payment has not yet been made. The undersigned has not been paid the sum of $________________ for work performed and/or materials provided under contract on this project and retains the right to file a lien against the property and pursue any and all actions to recover the full amount due, including any and all equitable claims. The undersigned acknowledges receipt of payment for work performed or materials provided and acknowledges that this waiver may be relied upon by the owner even if the undersigned accepts payment in uncertified funds and such payment is subsequently dishonored or revoked, in which case this lien waiver shall remain in full force and effect. The foregoing waiver shall not apply, however, if payment tendered by the owner is dishonored or revoked. This instrument was acknowledged before me on this _____ day of _____________, 20___, by (name of person) as lien claimant or (title, position or type of authority granted by lien claimant) of ____________________________ (lien claimant). IN WITNESS THEREOF, I have hereunto set my hand and affixed my official seal on the day and year last above written. Note to lien claimant: This form, if filled out correctly and sent within the time periods specified in W.S. 29-2-107 constitutes prima facie evidence that you have provided the contents of the notice required by W.S. 29-2-107(a). If you have any questions regarding how to fill out this form or whether it has been filled out properly, you should consult an attorney. You are hereby notified pursuant to W.S. 29-2-107 that __________ (hereinafter the “lien claimant”) intends to file a lien against your property. The amount of the lien claim is $__________. This amount is due from __________ (person/entity whose actions have caused a lien to be filed) pursuant to a contract with the lien claimant under which the lien claimant performed work or supplied materials for the work. If we are unable to resolve this matter within twenty (20) days from the date of this notice, the lien claimant intends to file the lien statement asserting a lien against your property. Note to lien claimant: This form, if filled out correctly and sent within the time periods specified in W.S. 29-2-107 constitutes prima facie evidence that you have provided the content of the notice required by W.S. 29-1-312(c). If you have any questions regarding how to fill out this form or whether it has been filled out properly, you should consult an attorney. This letter shall serve as notice to you pursuant to W.S. 29-1-312 that _____________________ (hereinafter the “lien claimant”) has filed a lien against your property. Note to lien claimant: This form, if filled out correctly and filed with the county clerk’s office within the time periods specified in W.S. 29-2-106 constitutes prima facie evidence that you have provided the content of the lien statement required by W.S. 29-1-312(b) and (f). If you have any questions regarding how to fill out this form or whether it has been filled out properly, you should consult an attorney. 2. The amount claimed to be due and owing: $____________, plus pre-judgment interest at a rate of _____% (if applicable), and attorneys’ fees and costs incurred by lien claimant in the collection of this amount. The amounts due and owing from ________________________ for the work performed and/or materials provided are set forth in the actual invoices, or if no invoices exist, then a summary, attached hereto as Exhibit “A”. 7. The legal description of the real property where the lien claimant performed work or furnished materials is set forth in Exhibit “B”, attached hereto. DATED this ______ day of ______________, 20___. Note to Notarial officer: If the lien claimant is a legal entity formed under Title 17 of the Wyoming Statutes or other applicable law, use the first jurat. If the lien claimant is an individual or sole proprietor, use the second jurat. On this _____ day of ______________, 20___, subscribed and sworn to before me personally appeared ______________________________ (name of signatory), to me personally known, who has read the foregoing Lien Statement and knows the contents thereof and the facts are true to the best of his/her knowledge, and being by me duly sworn, did state that he/she is the (title, position or type of authority granted by lien claimant) of ______________________________ (lien claimant) and that this lien statement was signed and sealed on behalf of the lien claimant by authority granted to the signatory by the lien claimant. On this ______ day of ______________, 20___, subscribed and sworn to before me personally appeared ______________________________ (name of signatory), to me personally known, who has read the foregoing Lien Statement and knows the contents thereof and the facts are true to the best of his/her knowledge, and being by me duly sworn, did state that the lien statement to be the free act and deed of the lien claimant. (In bold face type) This notice creates a presumption under W.S. 29-2-106(c) that the period for filing a lien shall begin to run on the date the notice was recorded. If the recipient of the notice has not been paid in full, any lien to be filed on the property to secure full payment shall be filed by contractors within one hundred fifty (150) days of the date the notice was recorded and within one hundred twenty (120) days the notice was recorded for materialmen. Pursuant to the provisions of W.S. 29-2-106(c), the undersigned hereby files its notice of substantial completion of the project, filed with the Clerk of _________________ County on the ______ day of _____________, 20___, commencing at Page _____ of Book _______. Dated this ______ day of ____, 20___. Note to Notarial Officer: If the record owner is a legal entity formed under Title 17 of the Wyoming Statutes or other applicable law, use the first jurat. If the record owner is an individual or sole proprietor, use the second jurat. On this ______ day of ______________, 20___, subscribed and sworn to before me personally appeared ______________________________ (name of signatory), to me personally known, who has read the foregoing Notice of Substantial Completion of the Project and knows the contents thereof and the facts are true to the best of his/her knowledge, and being by me duly sworn, did state that he/she is the ______________________________ (title, position or type of authority granted by record owner) of ______________________________ (record owner) and that this Notice of Substantial Completion of the Project was signed and sealed on behalf of the record owner by authority granted to the signatory by the record owner. On this ______ day of ______________, 20___, subscribed and sworn to before me personally appeared ______________________________ (name of signatory), to me personally known, who has read the foregoing Notice of Substantial Completion of the Project and knows the contents thereof and the facts are true to the best of his/her knowledge, and being by me duly sworn, did state that the Notice of Substantial Completion of the Project to be the free act and deed of the record owner. Note to lien claimant: This form, if filled out correctly and filed with the county clerk’s office within the time period specified in W.S. 29-1-314 constitutes prima facie evidence that you have fulfilled your obligation to file a notice of satisfaction of the lien required by W.S. 29-1-313 and 29-1-314. If you have any questions regarding how to fill out this form or whether it has been filled out properly, you should consult an attorney. Pursuant to the provisions of W.S. 29-1-313, the undersigned hereby files its notice of satisfaction of lien statement and hereby releases its lien(s), filed with the Clerk of _________________ County on the ______ day of ______________, 20___, commencing at Page ______ of Book ______. On this ______ day of ______________, 20___, subscribed and sworn to before me personally appeared ______________________________ (name of signatory), to me personally known, who has read the foregoing Notice of Satisfaction of Lien and knows the contents thereof and the facts are true to the best of his/her knowledge, and being by me duly sworn, did state that he/she is the ______________________________ (title, position or type of authority granted by lien claimant) of ______________________________ (lien claimant) and that this Notice of Satisfaction of Lien was signed and sealed on behalf of the lien claimant by authority granted to the signatory by the lien claimant. On this __________ day of __________, 20___, subscribed and sworn to before me personally appeared __________ (name of signatory), to me personally known, who has read the foregoing Notice of Satisfaction of Lien and knows the contents thereof and the facts are true to the best of his/her knowledge, and being by me duly sworn, did state that the Notice of Satisfaction of Lien to be the free act and deed of the lien claimant.